Creative Suite applications are not supported on macOS 10.12 (Sierra) and therefore, many of the Creative Suite installers may not function normally on macOS 10.12. See the information below for available workarounds to install Creative Suite applications under macOS 10.12. For a list of system requirements, and tested operating systems, see System requirements | Master Collection. If you have a Creative Cloud All Apps membership, you can install Creative Suite 6 applications from Adobe Creative Cloud desktop application. You can select the Creative Suite 6 version of Creative Cloud applications under the Previous Version option. For complete details on how to install a previous version see Download and install Creative Cloud apps. Mount the Disk Image file for the Creative Suite 6 application. 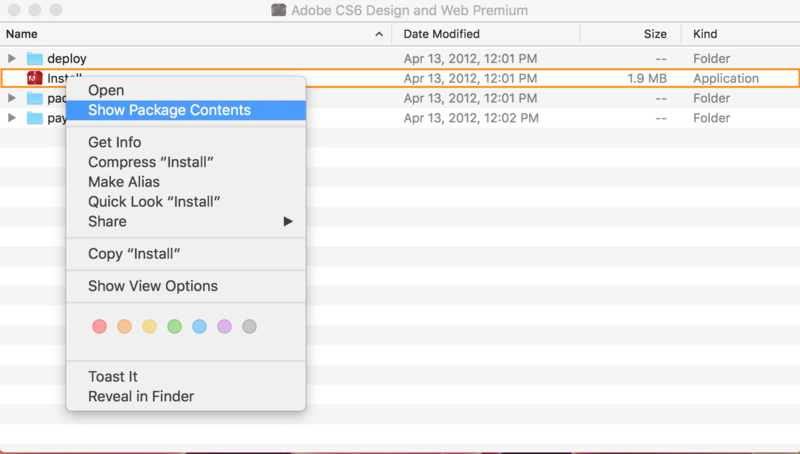 Right-click Install.app and select Open Package Contents from the context menu. Navigate to Contents > MacOS. Double-click the Unix executable titled Install. A terminal window opens and initializes the installer. You are given the option to install in trial mode, utilize a serial number, or verify a Creative Cloud membership. Mount the Disk Image file for the Creative Suite application. For Creative Suite 4, right-click Setup.app. Drag the Unix executable to the Terminal. 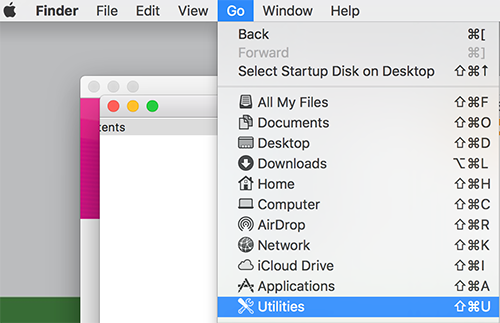 Navigate to Go > Utilities to open the Terminal window. Press return to launch the installer.